Finding that perfect birthday greetings card for a business associate that is neither kitsch nor too over familiar can be tricky. You don't want to send a funny one in case they have a sense of humour failure as far as their age is concern. Sending one featuring wine or beer is a bit of a minefield as they could well be a recovering alcoholic. These are just examples obviously, used simply to demonstrate how tricky it can be to send a birthday greeting to somebody you know only through work. Sending business ecards is the easy solution and it will be appreciated when it pops into their inbox. These are very modern ecards with an industrial feel. 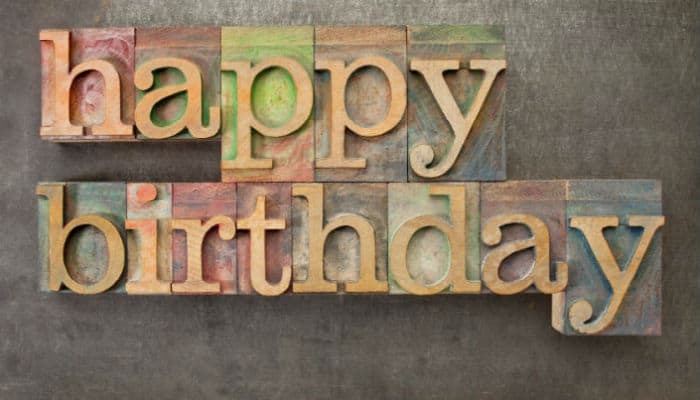 The words Happy Birthday have been created in metal in various stages of oxidisation, and the letters are set onto metal blocks of similar hues. The colours add depth to the image and give it an altogether softer and more contemporary look than if it had been solid coloured metal. Anybody would be happy to receive these ecards for their birthday as no doubt they will have been inundated with tacky cardboard cards that will all more or less look the same. Would you like to make a similarly powerful message with your Christmas holiday greetings? If so then pop over and check out our business holiday ecards.